When Delanie Pickering first moved to Martha’s Vineyard, she didn’t know a soul, and didn’t tell anyone she was a musician. 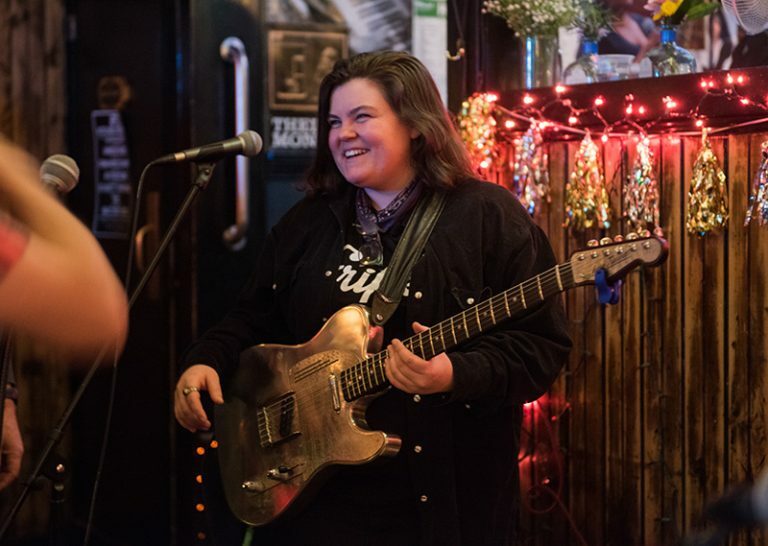 A year and a half later, she’s become one of the more ubiquitous faces on the Island music scene — most recently as the new guitarist for Johnny Hoy and the Bluefish, replacing longtime guitarist Buck Shank. In addition to her new gig as a Bluefish, she plays regularly in three other bands (Rosie’s Ritzy Revue, the Black Eyed Susans, and the Outskirts), sits in with others when she can, and works full-time at Mocha Mott’s. She was out of money from traveling, having just returned from a solo road trip that had taken her “the long way” to Memphis for the Blues Challenge, to Florida, where she stayed a while with her father, then to the Cape in search of work. 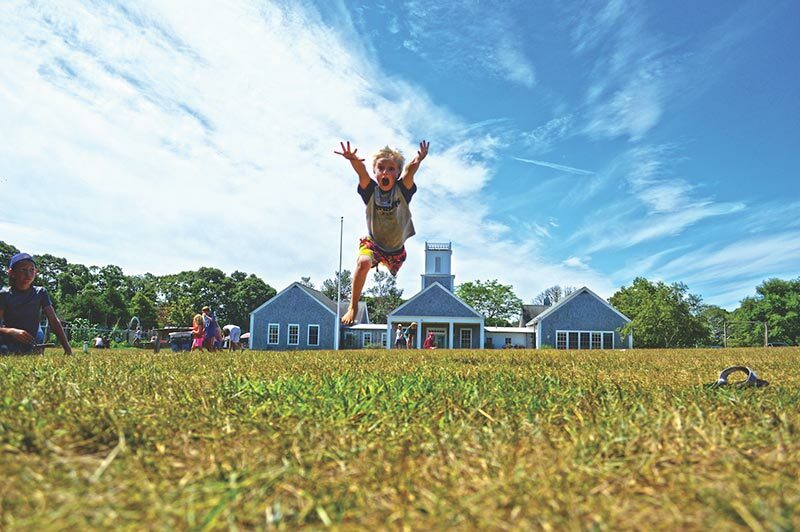 “I can go [to the Vineyard], and just bum around on the beach,” she remembers thinking. It was a fortuitous decision for the young musician, and worked out better than she probably could have imagined. Pickering first picked up a guitar at around 15 or 16, after discovering a love for blues music, and started teaching herself to play. When her father realized she was serious about guitar, he offered to pay for lessons, but that didn’t last long. “I was … paying money to do something I could do on my own,” Pickering says. As impressive as that record is, Pickering says she wrote it purely for a deadline, and she hasn’t written since. “I’m not against original music,” she says. “I like it, but I don’t find writing fun, and I just wanna have fun, really.” And have fun she does. The bar’s chalkboard indicated that the Ritz had music every night, so she went, to listen and watch, pretty much every night. “I didn’t tell anyone I played music for a long time,” Pickering recalls. That Thursday, she sat in with the Edbury All-Stars at the Ritz, and word soon got around that there was a new, very talented, kid in town. Johnny Hoy heard about her from Jessie Leaman, who plays bass in the Edbury All-Stars, and he called her up to sit in with the Bluefish that Wednesday. Within a month or two, Rose Guerin, who has Rosie’s Ritzy Revue on Saturday evenings, had asked Delanie to play with her band. In the spring of 2018 came the Black Eyed Susans, formed after the breakup of the Chandler Blues Band, featuring Chandler’s frontman Michael “Icey” Baird on vocals, Lance Fullin, Slim Bob Berosh, and Ritz bartender Jeremiah Roberts on drums. Josh Campbell says of all the musicians he knows, Delanie Pickering “has the most potential to become a rock star.” Given her quick success in a crowded Island music scene that’s chock-full of incredible talents, he may not be far off. Catch Delanie Pickering on guitar in Johnny Hoy and the Bluefish, Wednesday nights at the Ritz. This article by M.A. Kent-Holmes originally appeared on mvtimes.com.